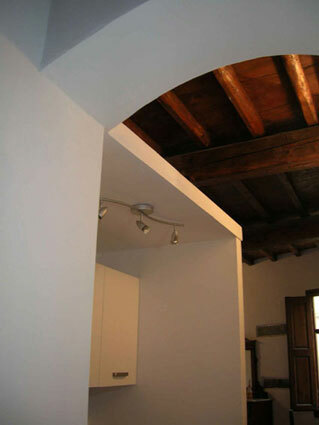 STUDIO-APT: Apartment approx 30 square meters, finely restored and furnished, very bright, with little kitchen area, bathroom with shower, sleeping area with a comfortable double bed (or two single beds) is situated on the second floor of a typical little palace in the historical center of Florence, nearby the curch of Duomo and S. Croce. 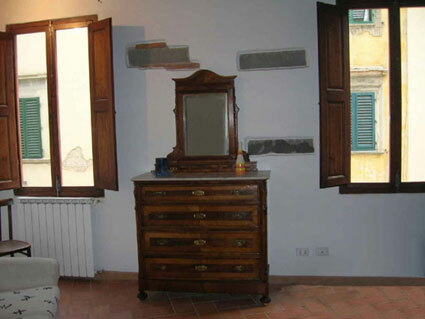 TWO-ROOMED APT: Apartment approx 30 square meters, finely restored and furnished, very bright, with kitchen, bathroom with shower and bedroom with a comfortable double-bed is situated on the second floor of a typical little palace in the historical center of Florence, nearby the curch of Duomo and S. Croce. 1. BOOKING The booking becomes binding only after the agency receives the down payment equal to 30% of the total sum due for the rent; the entire sum agreed will be pay on the arrival. 2. PRICES The agreed price includes the accommodation in good order (the description of the furnishing of the apartments in our documentation may be different in exceptional cases): cutlery, crockery, kitchen utensils, downs, pillows bed-linen, towels and linen in general (one or two changes in according on throughout the rental period); consumption of gas, hot and cold water and electricity, and final cleaning (and possible extra-ordinary cleaning) are extra costs will be charged to the client; Minor maintenance repairs will be at the expense of the tourist agency whose personal have authorized access to the premises, even in guest's absence, and are paid by the agency, naturally if they are not due to the client's negligence or misuse. 3. WARNINGS - Eventual bad functioning of electrical appliances such as dishwashers, air conditioners, washing machines (which have to be repaired by specialized personal who are not always available in the surroundings) will be repaired in two working days after having notify the agency of the inconvenient. Within this period of time the agency is not responsible for claims. 4. 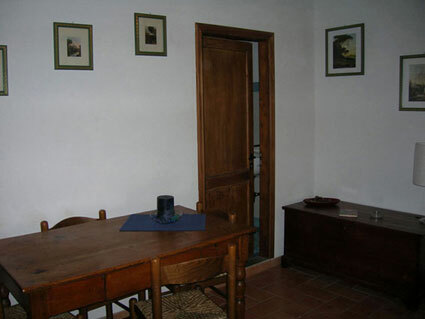 DEPOSIT - At your arrival, a deposit of 200,00 Euro is asked to guarantee good maintenance of the lodging and inventoried goods, and for the restitution of the keys. If there will be damages and if their cost is higher than the caution the lessee has to pay it on check out day or within 7 days from the check out day. If the sum of the damages exceeds the caution sum, the owner, has the right to start legal proceedings against him/her for the recovery of costs, damages and interests. If the damages render the flat unusable, in full or in part, the lessee has to pay the rent for the period necessary to repair damages.. If the guest leaves outside office hours the deposit will be refunded by postal money order or bank transfer at customers charges. 5. RESPONSIBILITY - The guest assumes the responsibility of using the lodgings with care and will be held liable and, he will be charged, for any damage, breakages and missing objects. The agency must always be informed of any damage or breakage within 12.00 a.m. on the day after the clients arrival, otherwise the guest will be held responsible. The owner does not assumes any responsibility for damages to persons or property due to accidents, the lost or disappearance of money, precious goods or personal effects during the stay. The apartment is not covered by fire or theft insurance and therefore the client should in accordance be careful during his stay, to always be sure to turn off the principal gas conduct and also not to leave any electric appliance plugged. 6. CANCELLATION - The cancellations are accepted only in written form: letter, telegram, fax or mail. In case the cancellation arrives to the agency within 30 days before the date of the arrival, 50% of the deposit will be refunded (through postal money order or bank transfer at customers charges); between the 29th day and the 7th day before the beginning of your stay 25% of your deposit will be returned. Those who cancel from the 6th day and on before the arrival and that anyway are not present within 8:00 p.m. on the day of arrival, have to pay the whole amount indicated on the booking form, within one week from the agreed arrival date. 7. ARRIVAL AND DEPARTURE The arrival/departure must take place as follows: arrival between 5.00 p.m. and 8.00 p.m and departure before 10.00 a.m.; if its no possible the owner of the apartment has to be contacted to take another appointment. In the case of unavoidable delay of arrival the holiday-maker must inform the owner of the apartment immediately; in the event that the owner is not available or its no possibile to advise, no refunds will be granted. The same rule applies for early departures. Individual arrival or departure can be agreed with the owner directly. 8. CONTRACT RESOLUTION Should the owner verify that there are more guests (included babies and children) then declared on the reservation form and/or there is a serious breaking of apartments regulations (excessive noise etc. ), the owner reserves itself the right to terminate the contract with no liability to refund. Eventual further damage will be calculated and subtracted from the paid deposit and the guest must immediately leave the apartment. Further damage can also be calculated after guest's departure. 9. NUMBER OF PERSONS Only those persons whose name has been registered on the Reservation Form may use the property. The number of persons must not exceed the number of sleeping places (2). 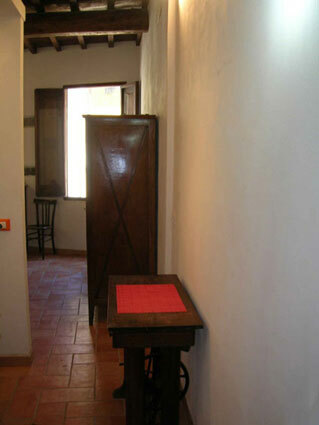 The owner of the apartment has to be informed immediately about any substitution of persons during the rental period. Dont leave the taps running to avoid damages. Dont dirty the walls and mattresses. Dont put in the toilet bowl nappies, sanitary towels and any kind of paper different from toilet paper to avoid damages. The house/flat is supplied with electricity meter ENEL low power, for this reason dont switch on at the same time iron, hairdryer and other electrical resistances. 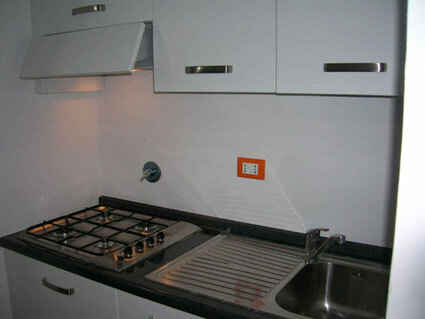 The kitchen is supplied with gas. Please close it carefully after use. Report us all damages and defects you find during the first 24 hours of your stay in the house/flat. Please, keep the cooking area clean. We remind you not to forget dirty dishes or cookers at the end of your stay. Beds should be unmade and the bed linen should be folded. In the house/flat cannot stay more people than the number declared at the booking. Dont disturb the neighbours with noises and shouting form 2pm till 5 pm and from 11pm on. 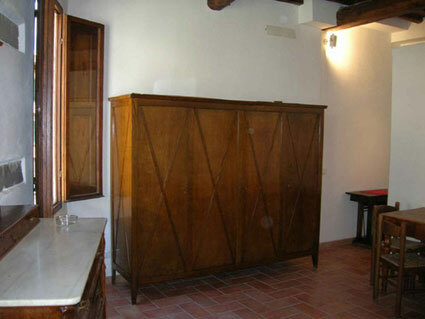 To find Pilastri-Apt look for the historical center of Florence, nearby Duomo, S. Croce, S. Ambrogio square, S. M. Novella e Campo Marte train station. BY BUS: From S. M. Novella station take bus number 6 to VIA DELLA COLONNA or number 14 to VIA GHIBELLINA or number 23 to VIA DEL PROCONSOLO.